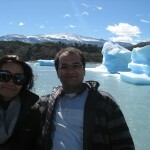 My first major exposure to Argentina was when the President of Argentina, H.E. Cristina Fernandez de Kirchner, lead a high level delegation to India. I was assigned to do a special feature on Argentina to coincide with the State-visit of the President. It was at this time I discovered that Argentina, the eighth largest nation in the world, has lots to offer in terms of tourism opportunities. This August I had the opportunity to get a glimpse of this wonderful country and truly Argentina has all that it takes to get a complete holiday experience in one destination. 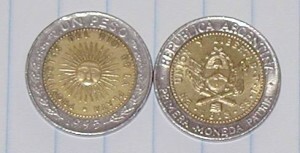 On my arrival, I exchanged American dollars for Argentine Pesos. We drove on Avenue 9 de Juliowhich has the famous Obelisk dominating it.The Obelisk, which is 67 metres high, divides the Corrientes Avenue and is surrounded by a small green park – Plaza de la Republica which represents the progressive spirit of the people of Argentina. The Plaza is a vast square and dissects the three arterial roads – Ninth of July Avenue, Corrientes Avenue and Diagonal Avenue and is located in the San Nicolas quarter. It is a rare sight to see a 12-lane street in the middle of the city centre, six lanes each for either direction of vehicular traffic. The Plaza was inaugurated in 1937 and is also known as the most important porteño or meeting point where the country celebrates major sporting triumphs. The Plaza which was originally a circular esplanade was enlarged to its current dimensions in 1962 and the Corrientes Avenue was rerouted through the plaza later in 1971. It is around the Obelisk that you will find the vehicular traffic heading into the city’s financial district. 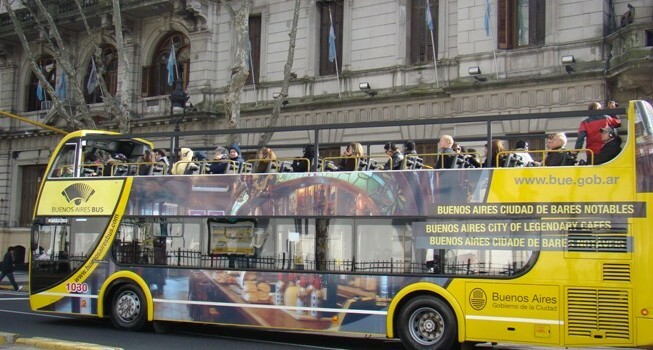 Buenos Aires, along with its suburbs known as Greater Buenos Aires, is truly a year round destination and one can easily spend days exploring this city which is also South America’s second largest city after Sao Paulo in Brazil. Located on the western shore of Rio de la Plata estuary, Buenos Aires is considered as an Alpha World city and the people are referred to as porteños or people of the port. During the great immigration wave in 1880s, people of Italian, Spanish and French descent migrated to Buenos Aires and therefore the city has a great European influence and is indeed one of the most beautiful metropolises of the Southern Hemisphere. On our arrival, I had the opportunity to stroll along Lavalle Street which was adjoining my hotel. This shopping street leads into the Florida Street near San Martin Square where you will find a wide variety of shopping – from leather goods to jewellery, books and souvenirs as well as some fine boutique shops. The San Martin Square, walking distance from San Telmo, one of the oldest districts of Buenos Aires, is a must-visit for its cafes, tango parlours and antique shops in the cobblestone streets which offers unique entertainment with artists and dance performances. If you are in Buenos Aires on a Sunday, you must visit the San Telmo market known for its bohemian charms. This quaint and funky neighbourhood comes to life every Sunday with its Antique Fair in Plaza Dorrego stretching down the cobblestone CalleDefensa or Defense Street. From musicians to artists, from full-scale Tango orchestras to solitary singers, San Telmo is the place to spend your Sunday in Buenos Aires and be entertained – be it by human statues painted in gold or a frozen man and woman caught in a storm with blowing jacket or inverted umbrella which makes it a thoroughly entertaining experience. It is the main square in downtown Buenos Aires, a focal point of political life of Buenos Aires and Argentina. On one side you will find the public administration office from early 20th Century. The Casa Rosado located on the eastern side of the square is the Presidential Office of Colonial Times. Close to Casa Rosado is the monument of Manuel Belgrano on horseback. Manuel Belgrano took part in the Argentine Wars of Independence and also created the Flag of Argentina and is regarded as one of the Liberaters or Principal Leader of the Latin American War of Independence from Spain. On the northern side of the square is the Metropolitan Cathedral, to the west is the Cabildo – an imperial colonial building and a town hall of earlier times. Nearby is one of the oldest subways of South America –Peru, which still has the original look and dates back to the beginning of the 20th Century with wooden wagons. A ride from Peru station is an experience. This subway was inaugurated in 1913 as the first in Latin America. Also known as “little France” or la PequeñaFrancia. This traditional upscale district combines Parisian architecture with trendy high rise elegant buildings and a variety of cultural venues. A visit to the Recoleta Cemetery is definitely recommended as it is the most relevant historical and artistic monument in the country and was created in 1822. It contains the graves of some of the important Argentineans including Eva Peron and some of the past Presidents of Argentina. On a cold day you could sip a Mate – a drink prepared from dried leaves of yerba mate along with hot water which can be sipped with a bombilla or a metal straw from a shared hollow calabash gourd which is similar to a bowl made of dried pumpkin. You can pick up a calabash gourd with a bombilla as an important Argentinian souvenir. Spend an afternoon at the Boca district and visit the most important football stadium in Buenos Aires – La Bombonera, the home of the Boca Juniors including the famous iconic Diego Maradona. The old port district of Boca still retains its 19th Century ambience and a strong European flavour thanks to the early Italian settlers from the city of Genoa. Colourful houses, pedestrian streets – especially the Caminito where tango artists perform on the streets – is an excellent outing to also pick up a few tango-related memorabilia. Havanna is to Argentineans what Starbucks is to the U.S. Your trip to Buenos Aires is incomplete without visiting Havanna especially in the district of Puerto Madero – the old port now converted into a famous restaurant district and somewhat reminiscent of Hamburg. Havanna, besides serving some fine coffee is one of the most popular alfajor vendors in Argentina. Indulge in alfajores–light, round cookies filled with dulce de leche – milk caramel in Spanish and the traditional local sweet made of thick jam and caramel candy. The Teatro Colón or Colombus Theatre located close to the Obelisk is amongst the top 5 opera houses in the world and a must-visit attraction. 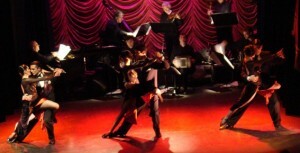 Buenos Aires is the birth place of Tango and Piazzolla is one of the fine places in the Guemes Gallery where you can experience the vibrancy of soulful music combined with modern tango and feel the spirit of the city created by the famous Astor Piazzolla. 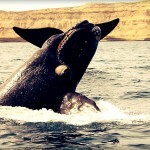 Other options would be to visit one of the Parrillas or charcoal grill places to try out a barbecue of Parillada or Asado, grilled meats or grilled beef along with a glass of Trapiche – one of Argentine’s fine Malbec wines with produce from Altamira, UcoValley,the premium area where Malbec is grown. Avenida Santa Fe is indeed one of the wellknown places for shopping in Buenos Aires and stretches from Plaza San Martin to Belgrano offering a corridor of hustle, bustle and retail therapy with wellknown boutique brands in one of the most important shopping districts of the city. There is also GaleriasPacifico or the Pacific Gallery located at the intersection of Florida Street and Cordoba Avenue. This is one of the most elegant shopping malls with concrete domes, and houses alongwith a shopping mall, the Jorge Luis Borges Cultural Centre and Julia Boca Dance school. The dome is decorated with murals by famous Argentinian painters and the large central cupola was constructed and decorated with 12 frescos by artists including Manuel Colmeiro, Antonio Berni,Demetrio Urruchúa and others. These frescos are some of the most important in Buenos Aires. 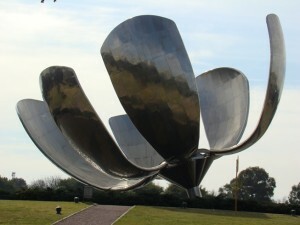 FloralisGenérica is a unique sculpture made of metal and is the gift to the city by the architect Eduardo Catalano. The Arte en Flor or Flowering Art is located in the centre of a park surrounded by wooden boundaries and represents a large flower with an aluminum skeleton of reinforced concrete and is supposedly 20 metres high. The flower which opens to the sky has six petals and is located at the United Nations Plaza and weighs 18 tons. Palermo is a trendy neighborhood filled with restaurants, shops and clubs called boliches. Located in the northeast part of the city, Palermo borders other important districts such as Belgrano, Recoleta, the Rio del Plata riverand is the largest neighbourhood in Buenos Aires. It is further subdivided into Alto Palermo – the main shopping area and transport hub around Santa Fe Avenue, Villa Freud – a residential area, Palermo Viejo or old Palermo which reflects an old Spanish style architecture and where well known figures such as Jorge Luis Borges and Che Guevara once lived. also used for concerts performed by Shakira, Carlos Santana and for public events too. This amazing building on Santa Fe Avenue was designed by wellknown architects Peró and Torres and originally opened as a theatre during the 20th Century with a seating capacity for over a 1000 spectators. This theatre was later converted into a cinema and the first sound films were presented in Argentina here in 1929. Subsequently in the 21st Century, this iconic building was converted into a 2000-square metre book and music shop and over 700000 books were sold in 2007. The cinema seating was replaced by massive book shelves and over a million people walk through this amazing book store every year. An English newspaper, the Guardian, placed El Ateneo as number two in the list of world’s top ten best bookshops and is a must-visit attraction for reading enthusiasts. 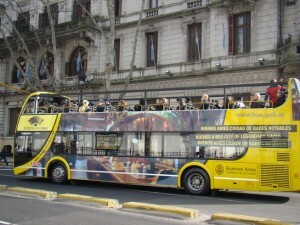 Those short on time, can take an open bus tour covering the highlights of the city of Buenos Aires in less than 3 hours. 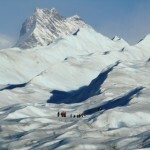 A 2-day pass can take you through the major districts which can be further explored on foot. From La Manzana de las Luces you can walk through tunnels which were built in the 17th and 18th Centuries and formed a network linking churches and public buildings. This historic block is surrounded by Bolivar Street, Moreno, Avenida Julia de Roca and the subway of Peru from where you could take these walking tours which take you through the Cabildo, the Cathedral with the Church of San Ignacio, Santo Domingo, San Juan, old Irish convents and neighbouring buildings. 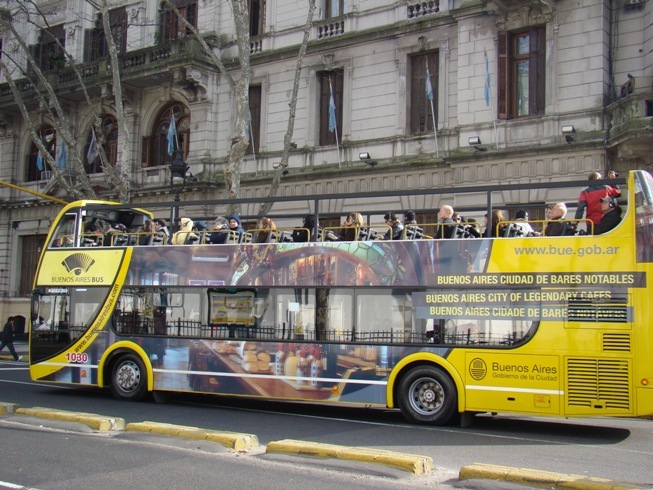 You need more than one visit to experience the various dimensions of Buenos Aires – be it culture, art, tango, football, night life, shopping, notable streets, neighbourhoods, parks or landmarks. Those who plan to visit the country of glaciers, deserts, waterfalls and more need little encouragement to take a short stop in Buenos Aires – truly a city with varied and diverse experiences.